As identity theft has increased, many people own a shredder, and they use it to shred all their mail to pieces on a regular basis. They also destroy annual records, receipts, and bills. But personal shredders are often relatively small and can only do a few items at a time. If your shredder is small and you need to shred pounds of paper or you don't own a shredder, you can take everything you want to shred to one of several locations where you can get all the paper destruction you want to be done for free. Shred-a-thons in the Greater Phoenix area are often sponsored by government agencies and banks because those are the organizations that are trying to increase public awareness of identity theft. Each shred-a-thon could have different restrictions on the amount of free shredding it will do. There also might be residency requirements. For example, a shred-a-thon in Tempe might require you to bring proof that you are a resident of Tempe to be able to take advantage of the free shredding service. This is done to make sure that all residents who want to use the free service get a chance. The Arizona Attorney General's office periodically works with local recycling companies to sponsor free shredding events. Call the Attorney General's office or check online to see if one is scheduled near you. The Better Business Bureau of Phoenix lists shredding services on its website and also sponsors shred-a-thons with local recycling companies. Banks offer free shredding services occasionally; check with your bank to see if it does. Comerica Bank sponsors an annual free shredding event in Phoenix. Iron Mountain and International Paper both host shredding events in the Phoenix area. When searching online for a shred-a-thon, use the name of your municipality along with "shred-a-thon," for example, Tempe shred-a-thon or Goodyear shred-a-thon. Make sure that if you are searching for Glendale or Peoria that you also specify that it's in Arizona because you don't want to end up with California or Illinois information. Finally, make sure you read the date of the announcement. It won't do you any good to get directions to a shred-a-thon that happened in 2006, and outdated information is often still lurking online. 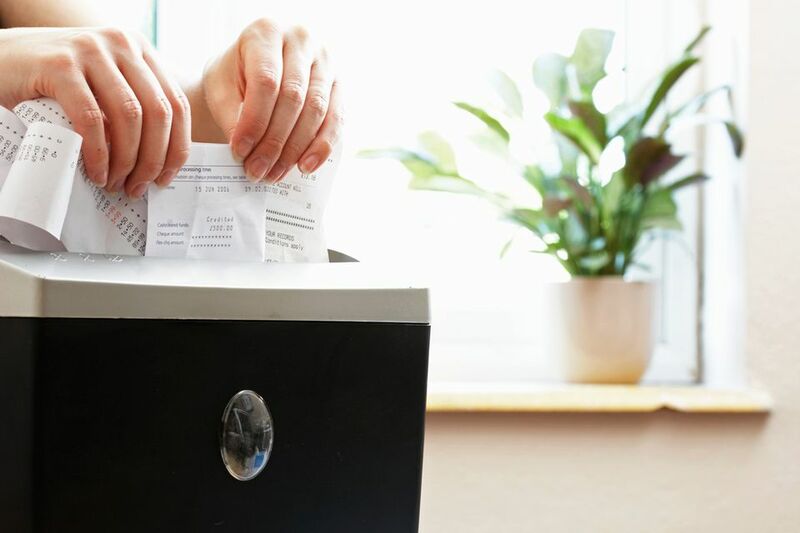 If you are moving, doing a clean-up marathon, or just really want to get all that paper shredded and out of your house and there's not a free event scheduled, check the companies that charge for shredding to see if the amount is acceptable to you. Celebrate Thanksgiving in Phoenix! Here is Your Arizona Holiday Planner.